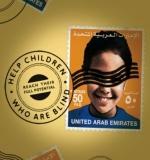 About | Save stamps for charity - U.A.E. By collecting stamps in the U.A.E. we can help raise funds for the RNIB benefitting people who are visually impaired. It’s easy to do and helps a really good cause through recycling stamps. I will collect the stamps and send them to the RNIB so they can sell them to raise funds. Their pioneering work helps anyone with a sight problem – not just with braille and talking books, but with imaginative and practical solutions to everyday challenges. People in the UK and around the world are still losing their sight unnecessarily. They campaign to eliminate avoidable sight loss and support research into the causes and latest treatments of eye conditions. We can raise money from both British and overseas stamps. It doesn’t matter if they have already been used. We can raise more money from overseas stamps. We also collect first day covers, presentation packs and albums. Or contact me using the form below for a physical delivery address.